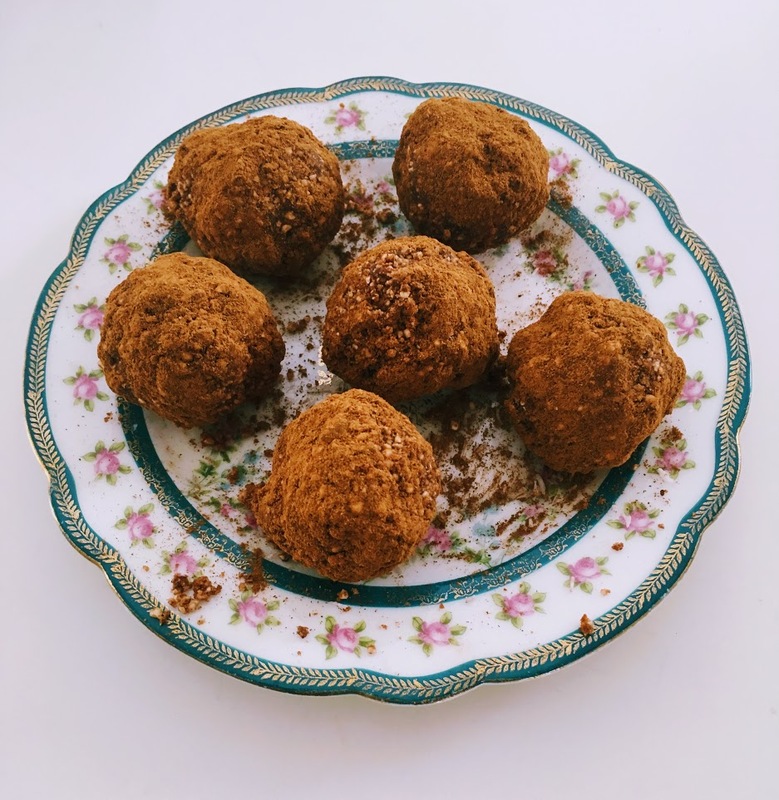 Inspired by a traditional Tibetan snack called pa, these energy balls are rolled in cinnamon and packed with roasted barley flour, dates, and chocolate. There are large Tibetan communities in countries along the southern border, such as India and Nepal. Last year, I spent five months tutoring children at a community center for Himalayan immigrants in Queens. I taught academic enrichment classes, and learned all about Tibetan cuisine from my students and coworkers. Located high up on a plateau in the Himalayan region, Tibet has a harsh climate. Wintertime temperatures often drop below zero, so traditional foods tend to be hearty, like momo (meat-filled dumplings,) thukpa (noodle stews,) and sha phaley (fried bread stuffed with beef and cabbage.) Before the use of greenhouses, farmers on the Tibetan plateau had difficulty growing fruits and vegetables. Grains were an exception. 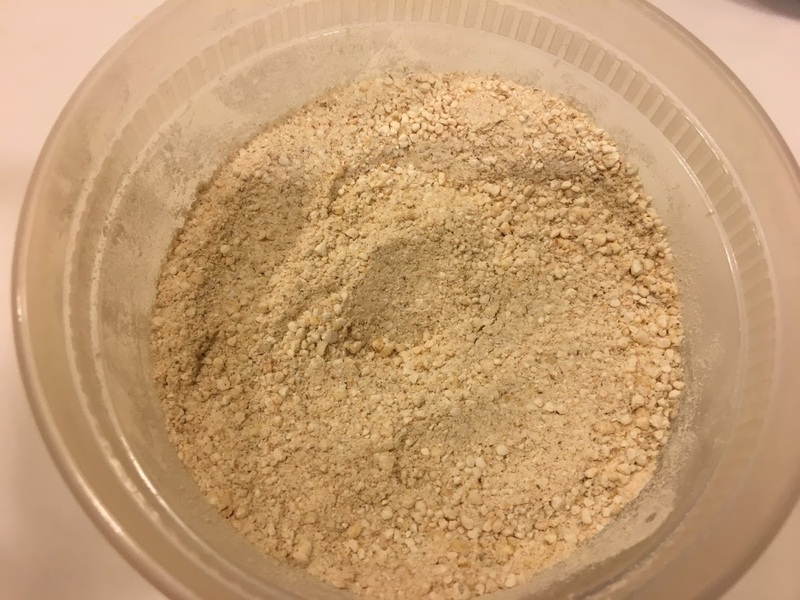 Tsampa, a flour made of roasted barley, is a staple of Tibetan cooking. The barley is toasted in a wok instead of in an oven. As far as I know, baked goods are nonexistent in Tibetan cuisine; most foods are fried or steamed. Tsampa is often mixed with yak cheese and po cha (butter tea, traditionally made with yak butter) to form little cakes called pa, which are eaten raw. On my last day working at the community center, my colleagues and I got dinner at Little Tibet, one of several Himalayan restaurants in Queens. I was excited to try tsampa cake for dessert, but the restaurant ran out that night. So when I came across a recipe for a modern twist on pa on Yowangdu, a website about Tibetan food and culture, I had to give it a try. 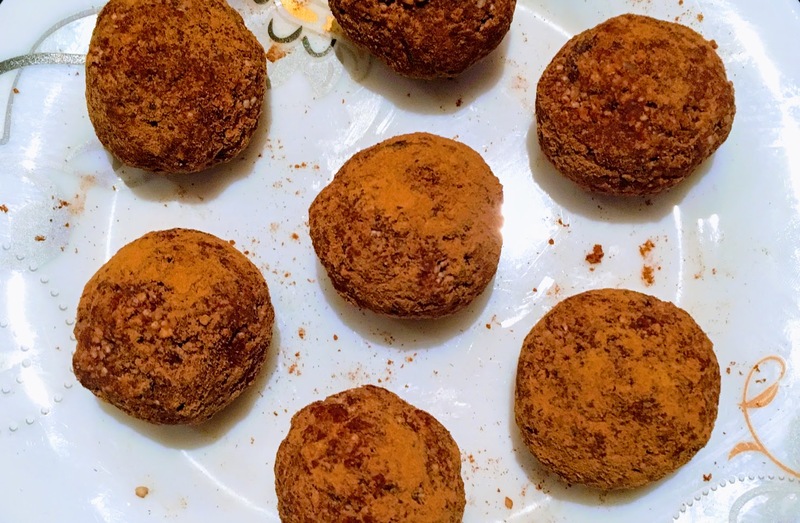 I experimented with my own version of these tsampa-infused energy balls, mixing in dark chocolate, dates, walnuts, and cinnamon. They are delicious as a dessert or snack. Note: to make tsampa, follow these directions. You will need a coffee or flour grinder; I tried pulsing the roasted barley in a food processor with little success. Combine ingredients in the bowl of a mini food processor. Pulse until ingredients are finely ground and a dough-like mixture forms. To test whether the dough is ready, pinch a piece of dough; it should stick together. If the mixture is still too dry and crumbly, add more water, a little at a time, until the mixture sticks together. Place in a container and refrigerate for several hours, so that flavors intensify and the dough is easier to shape. Scoop tightly packed tablespoons of dough and roll into balls, squeezing the dough so it stays together. Pour additional cinnamon (roughly a few tablespoons) onto a plate or cutting board. Roll balls in cinnamon until well coated. Serve right away, or store in an airtight container in the refrigerator.